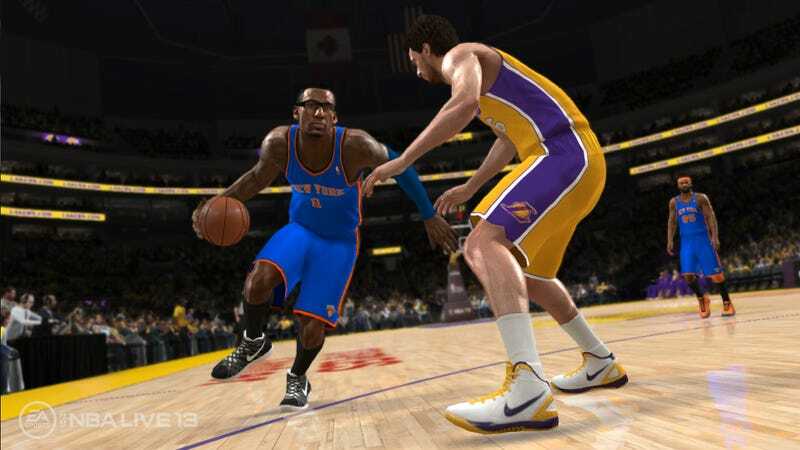 On Sept. 27, EA Sports scrapped NBA Live 13, the second straight cancellation in the series' troubled history. Quarterly earnings calls are coming soon and many will be listening intently for anything Electronic Arts has to say about an expensive license, coming to the end of a console generation, that hasn't produced a retail copy since 2009. The NBA remains optimistic this marriage can be saved. Its chief of marketing communication told Joystiq that the league has had a two-decade relationship with EA Sports. "We are obviously disappointed that EA will not be releasing NBA LIVE 13 this year, but have been assured by EA that the next release of NBA LIVE will meet our mutual standards of excellence." EA Sports is a major sports entertainment brand—not just a video game maker. But its inability to deliver a game under this license in three years is just flabbergasting. I wouldn't expect the league to publicly cut ties with the label but nothing warrants any real statement of confidence. Not when the NBA is making plenty of money off of NBA 2K13, which today announced its sales at this point were nearly 50 percent better than NBA 2K11's, which was an NPD top-10 seller for a full year and an overall Game of the Year candidate.